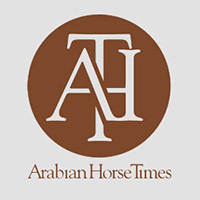 The Arabian Horse Foundation (AHF) recently awarded $11,500 in grants and youth scholarships. 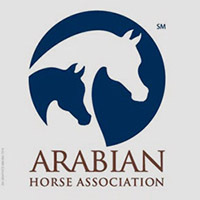 AHF, which is the philanthropic arm of the Arabian Horse Association (AHA), awarded $8,000 to equine rescue and rehoming efforts and equine research, and $3,500 to youth scholarships. Over the past two years, AHF has given out over $60,000 in grants and scholarships. “The Foundation is pleased to once again step forward and provide funds for projects, which will have a positive impact on the equine world and provide funds to help educate our future leaders,” stated Larry Kinneer, AHF President. Last year was the first year of grant requests and approval for the areas of rescue and rehoming and equine research. The Foundation granted $2,500 to NorCal Equine Rescue’s Euthanasia Clinic in Oroville, California and $2,000 to Mountain View Rescue in Columbia, Kentucky. Another $3,500 was granted to the UC Davis Veterinary Genetics Laboratory to continue research on Cerebellar Abiotrophy (CA), previously funded by AHF. The total given to equine rescue and rehoming , and equine research over the past two years is over $31,000. “The euthanasia clinics provide a compassionate and responsible “end of life,” where owners can bring their old or infirmed friends, say their goodbyes in a loving and supportive environment and know that their equine friends will not need to face the uncertainties and even horrors of ending up in the slaughter chain,” stated Carol Darnell, who chairs the AHF’s Equine Rescue and Rehoming Advisory Panel. The Equine Rescue and Rehoming Advisory Panel and the Equine Research Advisor Panel, chaired by Beth Minnich, recommended approval of grants to the Foundation board. The $3,500 granted to UC Davis is the second grant to that institution. Last year, a $5,000 grant was awarded to the UC Davis Veterinary Genetics Laboratory for the work on CA, which is a degenerative condition of the brain where certain cells in the brain’s cerebellum begin to die, resulting in a severe lack of coordination. Most affected individuals are euthanized before adulthood. Evidence indicates that CA is widespread in the Arabian breed. Scholarship award winners were notified this spring of their scholarship grants from the Foundation. Nine youth were awarded scholarships, explained Jim Cada, AHF Treasurer and board member, who along with Nancy Harvey, also a board member, comprise the Scholarship Award Committee. The amount awarded was $4,500 which brings the scholarship total given in the last two years to over $35,000. Taylor Ferguson, Victor, NY; Kristin N. LaBounty, Scottsdale, AZ; Darcey M. Haggan, Clanton, AL; Hailey Rowe, Henersonville, TN; Kimberly Luebck, Peoria, IL; Erica Jane Johnson, Lake Oswego, OR; Sarah Schuessler, Attica, NY, and Melanie A. Ray of Wichita, KS. This year is the first year to award the newly-established Myron Krause Equine Research Scholarship. The recipient of this scholarship is Amber Louise Burton of Okmulgee, OK. In addition to Jim Cada, Nancy Harvey and Larry Kinneer, other Foundation board members are Lollie Ames, Frank Galovic and C.A. Butler. 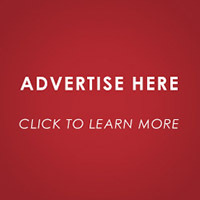 The Foundation is a non-profit entity and as such, gifts are tax deductible. Successfully relaunched two years ago, AHF has core areas where one can direct their contribution: Youth Scholarships; Equine Research, and Equine Rescue and Rehoming. To make a contribution on line or to learn more about the Foundation, visit the Foundation web site at www.arabianhorsefoundation.org.